I have to confess that I have been neglecting my own personal hair care in favour of learning how to manage Little E’s curly locks. Fortunately, I have straight hair which is generally pretty easy to manage. My challenge is finding the time to style it all pretty and visit the hairdressers. Visit hairdresser and get hair cut short. Really short. Preferably into a bob which requires little attention. Allow hair to grow out for about 6 months until it reaches Awkward Hair Stage where it is neither long nor short and just looks untidy all the time. Look untidy all the time until hair grows long enough to tie into a pony tail or until it is convenient to visit the hairdresser. My utter failure to pay attention to my crowning glory (or haystack, as it was beginning to resemble) has gotten much worse lately due to Baby #3. Pregnancy hormones usually lead to a change in hair growth, quality and texture, which usually leads to most expectant moms sporting thicker, glossier-looking manes. 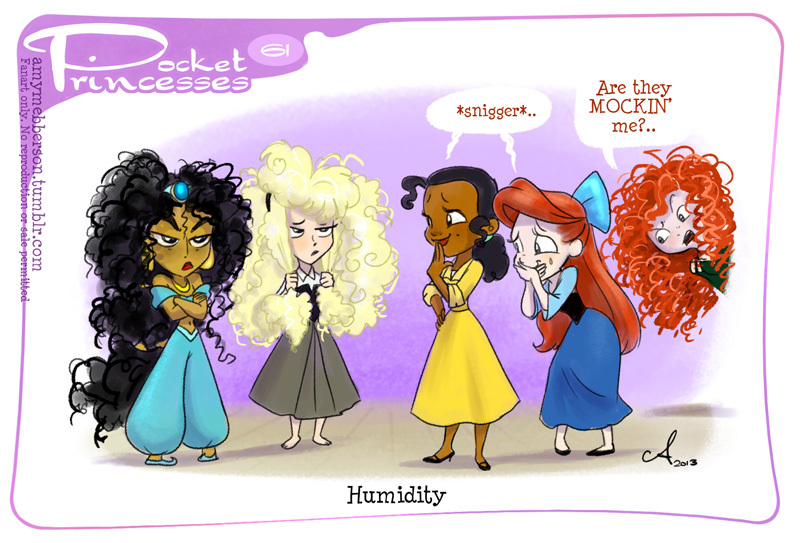 In my case, unfortunately, my hair became both coarse and dry. This change in texture, combined with the fact that my hair had reached Awkward Hair Stage was really starting to get me down so I was overjoyed when the up-and-coming hair salon, le blanc by mashu, invited me for a haircut-and-styling session (with their Creative Director Masaeki Ueda) and their signature Soda Spa Scalp Treatment! le blanc by mashu is a well-established (25 years and counting! ), award-winning chain of hair salons in Osaka, Japan, with a reputation for not only customising the latest trends to suit each individual’s style and natural beauty but is also committed to affordability. The team of Japanese hairstylists working at the newly opened Plaza Singapura location have flown in from Osaka to establish themselves under the watchful eye of Creative Director, Masaeki Ueda, whose goal is to empower women to style their own hair without breaking their bank accounts. I was surprised to find out that rates for a senior hairstylist at le blanc by mashu starts at a mere SGD$45 which is about half of what other premium hair salons are charging! le blanc by mashu – a very plush hair salon! I have to say that the interior of the salon is very welcoming and comfortable! I was ushered to my chair and served a very refreshing cup of green tea, then taken to the shampoo room for the Soda Spa Scalp Treatment. Now, one of the signature hair services provided by le blanc by mashu is the use of carbonated water or ‘tansan‘ spa water as part of their hair-washing regime. As far as I understand it, every customer will enjoy having their hair washed and rinsed in bubbly ‘tansan‘ water, which is reputed to deep cleanse hair follicles and improve circulation to the scalp. The Soda Spa Scalp Treatment (SGD$110) is a more intense treatment which is supposed to improve hair quality, reduce hair loss and maintain a healthy, dandruff-free scalp. This involves massaging a large quantity frothy and pleasant-smelling Soda Spa Foam, a mousse containing concentrated carbon dioxide (you can see the pink Soda Spa Foam bottle in the picture above) into the scalp and hair which is then wrapped in a towel and steamed for ten minutes. After the foam is rinsed off with more ‘tansan’ spa water, Sparkling Spa Shower hair tonic (from the gold bottle in the picture above) is applied liberally to the scalp. This is a fizzy blend of concentrated carbon dioxide with all sorts of interesting herbal extracts including ginseng, ginger, witch hazel and angelica root which feels highly refreshing and energising! Now, I am quite a skeptical person, so I did a little bit of research into the effects of carbonated water on the skin. We all know that throughout history, people have built health farms around bubbling hot springs and visiting these spas to ‘take the waters’ has long been touted to have positive health benefits especially for those people suffering from skin lesions. I always maintained that it was the act of relaxing in a steaming long bath and being massaged by warm hands that improved circulation and general well-being. However, there is evidence that carbon dioxide and carbonated water does have a positive effect on irritated skin (such as in dermatitis or eczema), with the mildly acidic water providing an antiseptic effect and the flushing of carbon dioxide leading to blood capillary dilatation, thereby increasing circulation to the area and stimulating the sympathetic nervous system. It is no wonder that carbon-dioxide lasers are being used in dermatology and aesthetic medicine to treat scars and improve wound healing. I have no doubt that the soda water has a good effect on the scalp, but I was surprised to see the results of the treatment on my hair. I found that my coarse and dry hair became noticeably softer and silkier after the treatment. It was light, bouncy, and incredibly shiny. Hooray! Although I was given a canister of Soda Spa Foam as well as sample bottles of Shiseido Fuente Forte shampoo and conditioner (the hair salon only uses Shiseido hair care products and colouring treatments) to take home so as to prolong the effects of the treatment, I decided to use my usual hair products to see how long the salon-effect would last. Surprisingly, my hair remained at that level of silky softness for nearly 2 weeks – I would wake up every morning, run my fingers through my hair and not feel a single snag or tangle. I didn’t even have to brush it. After the Soda Spa Treatment, I was led back to my plush chair where Mr Ueda inspected the haystack and we chatted about how best to manage the Awkward Hair Stage. Any concerns I had about communicating with the Japanese hairstylists were quickly eradicated as Mr Ueda turned out to be highly intuitive – deducing that as a busy mom, I don’t often have time to visit the hair salon or spend a lot of time styling hair. 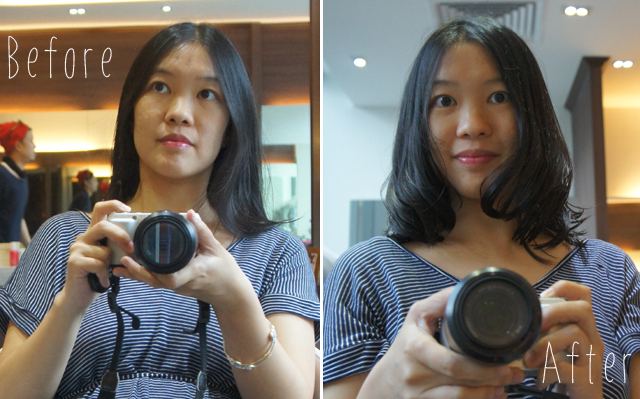 To my surprise, he didn’t encourage me (like most other hairdressers do) to cut my hair short into a simple wash-and-wear bob or pixie crop, as in a month or so it would grow too long and no longer hold its neat shape. His advice was to neaten the ends of my hair (so that it looks less obviously like an overgrown bob, which it was) then allow the hair to grow long enough such that the weight of it would pull it straight and even. Until then, he would teach me how to manage the Awkward Hair Stage. Here are his tips on how to manage the Awkward Hair Stage. Perm the lower half of your hair. The ringlets will look cute and bouncy, and because they curl ‘every which way’, it is surprisingly easy to maintain – just wash, scrunch and go! For expectant moms who should not be doing chemical perms, just apply a teensy bit of hair wax to the ends of the hair, and use curling tongs lightly on the ends to achieve the same effect. When blowdrying hair, aim the nozzle of the hairdryer upwards whilst twisting sections of your hair around your finger. This will naturally make your hair curl inwards towards your face and give it more bounce on the top. Do not blow-dry hair with the nozzle facing downwards or the hair will ‘set’ against your head and neck so that your hair is flat on top and kinks out at the bottom. A zig-zag hair parting gives extra bounce to flat hair and looks interesting to boot! Meimei, the kind folk at le blanc by mashu also gave me two vouchers for another cut-and-styling session with the Soda Spa Scalp Treatment, and I had such a great time there, I am going to give them to you and the Aged P for when you come a-visiting for that Special Occasion later this year! The both of you deserve some pampering! As for me, I will definitely be visiting the salon again once the pregnancy hormones have worn off – and I’m going to try out that perm Mr Ueda recommended! P.S. 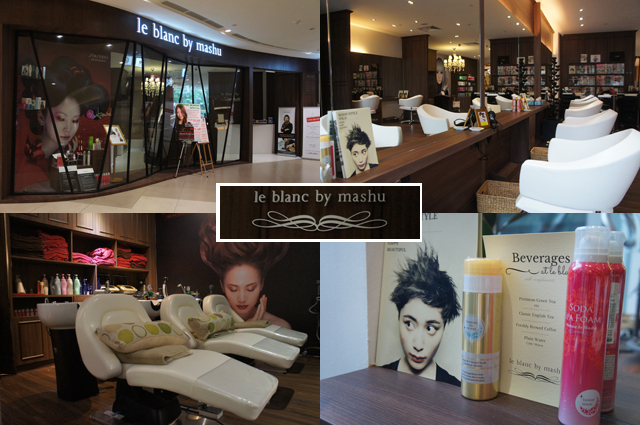 le blanc by mashu is running a special promotion from now until the end of March 2015 – book a Soda Spa Scalp Treatment and get 50% off the price of a hair cut! Bargain!! Happy Chinese New Year Debs and our readers! Given the season, I’ve been thinking a lot about Tradition recently and I’ve been listening to Fiddler on the Roof a lot too. I was really surprised to note that it is super popular in Japan! Joe Stein, the man who originally wrote Fiddler on the Roof was once asked how an American audience could possibly understand his own play given that it was “so Japanese”. I guess the themes of tradition, the loss of tradition, interracial marriage and preservation of culture can really strike a chord with any audience. Times are always a changin’, after all. I guess I’m glad that we’re no longer in such a closed culture that my upcoming marriage with The Boobook and yours with the Barn Owl are no longer frowned upon so terribly. That being said, how do you balance the traditions of both our culture and the Barn Owl’s culture in your family? After all, I’m sure that the Barn Owl has traditions that he holds dear as well and we must not be fooled into thinking that our culture is the only one that counts. I know that J and Little E are learning Mandarin and both have Chinese names, but how do you balance everything well? In any case, I’ll leave you with one last thought. I’m a big fan of the Japanese culture, so here’s a video on how to eat sushi. It goes without saying that rats need exercise and that the most popular form of rat exercise is the wheel. Since rats have fairly delicate paws, it’s not suitable for them to be running in a wire wheel. Thus, my rats have a Transoniq Wodent Wheel to run in, a specially designed wheel that is both easy to clean and prevents them from hurting their paws. I bought the wheel and some assorted toys from The Dapper Rat and immediately installed the wheel in the rat cage when it arrived. Wodent Wheels have a metal base for stability, but if you have particularly robust rats like I do, the wheel shakes when they run in it. The resulting noise is not unlike a neverending hammering against the base of the cage. After suffering several nights of noise, I decided to secure the wheel to the ceiling of the cage both to increase stability and also to get some peace and quiet. After all, if the base couldn’t move, the rattling would stop. So, I went down to the nearest hardware store and requested the smallest available cable ties for the job. In fact, I was refused sale at the next few hardware stores as well. Some of the salespeople didn’t even want to help me or look at me the moment the words “Cable” and “Tie” left my mouth. It wasn’t until the third store when I found out why I was being refused sale. It was because this movie had just come out (link NSFW!). For obvious reasons, the remainder of this post will be behind a cut. So you may have noticed that both J and Little E are blessed with naturally curly hair. J’s hair is exactly the same shade and texture as The Barn Owl’s, but Little E’s hair is a combination – it’s dark and fine, like mine, but it has waves, curls and highlights like The Barn Owl’s hair. J’s hair is pretty easy to maintain, as he gets it trimmed short every month or so, but Little E’s hair has always been a challenge for me as I have virtually no experience looking after curly hair. Unfortunately, when asking around for advice on how to fix these problems, I realised that even the Sister Outlaw (whose hair is of similar texture to Little E’s) does not have a clue on how to manage her curls. In fact, we live in a world where sleek, straight hair is considered the ideal. All of my curly-haired friends own straightening irons, anti-frizz potions and go to great lengths to blow-dry and brush their hair straight, quite often visiting hair salons to undergo chemical hair re-bonding treatments to rid themselves of unruly locks. 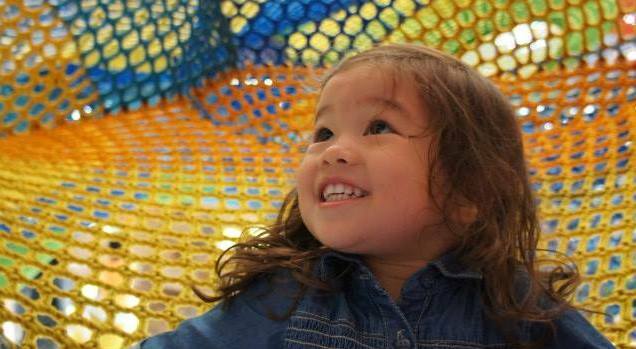 I personally love Little E’s curly hair, which I think is both beautiful and unique. I want Little E to have a good self-image and appreciate the way that she looks, so I have been challenging myself to find out how to best manage and maintain her curly locks. It’s been several years of trial and error, but I think I am finally getting the hang of it! Debs G is contributing over at Life’s Tiny Miracles today with a Valentine’s Day tribute to lovely husbands put together by the wonderful Angie, so do hop on over and check it out! In the meantime, Owls Well wishes everyone a very Happy Valentine’s Day! So Little E wasn’t the only one who had the opportunity to have a very personal magical experience at DisneyWorld – J had his moment when we were at the DisneyWorld Hollywood Studios, and it lasted long after we returned from Orlando due to the amazing fabulousness that is Disney Customer Service. When A Becky Lee and I were doing our trip planning for Disneyworld Hollywood Studios, we found out that there was a chance for J to take part in the Star Wars Jedi Training Academy (unfortunately, 3 year old Little E just missed the age cutoff by a few months). Although J has not yet watched the films or the cartoons, he is well aware of Star Wars and knows a little bit about all the characters, so we knew that this was an event that was not to be missed! So when we arrived at Hollywood Studios, the first thing we did was head straight to the ABC Sound Stage to register J for a place in the academy. We were allowed to choose a time slot for his training, and returned later on in the day to be robed and sabred. 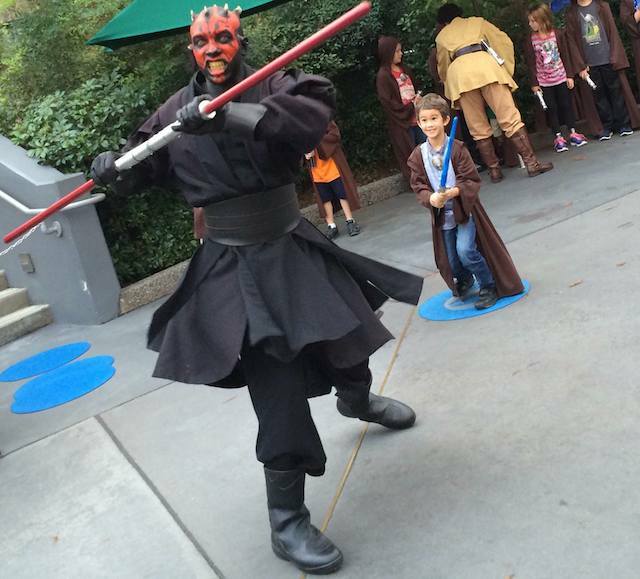 At the training ground, the Jedi Masters gave them some basic combat training and taught them to use their light sabres safely…but who should interrupt the session but the terrifying Darth Maul! All the little padawans had a turn duelling with the snarling Sith Lord, including J, who had the biggest grin on his face as he parried furiously with his light sabre. Afterwards, J received a little training certificate which he was very proud of. As for the Jedi Training Academy button, he took it off his shirt and fastened it proudly to his backpack. Unfortunately, with one thing and another (i.e. some vigorous rocking out to a live band), the button dropped off and we couldn’t find it. By this time, the Jedi Training Academy was closed, so there was no way we could get a replacement. J was a little sad about losing the button, but he was quite mature about the whole thing and decided not to let that spoil his day. Seeing him act so reasonably about it made me feel that I should try a little harder to see if we could recover the badge. In any case, I called up the Disney Lost and Found the very next evening and found out that the button had not turned up. Oh well. Normally, I would have just given up at this point, but A Becky Lee reminded me not to underestimate the power of Disney’s Customer Service! So, when we visited Epcot Center, I paid a visit to Guest Relations and had a chat with the cast member working the desk. She took down our contact information and said that she would ring up Hollywood Studios to ask them to keep an eye out for it. I didn’t really expect to hear anything after that, but I was satisfied that I had tried my best to recover J’s lost badge. 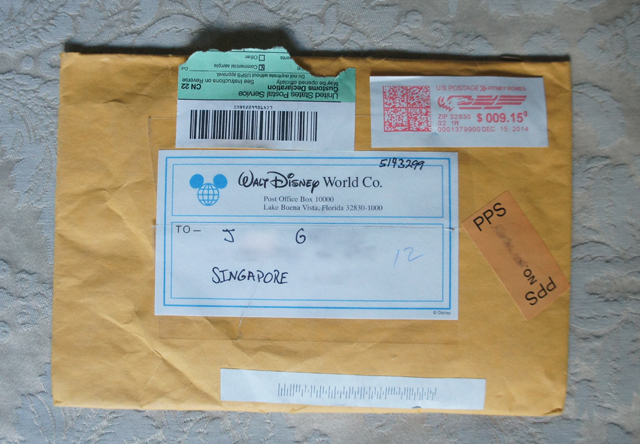 Imagine my surprise when this arrived in our mailbox after our return to Singapore! 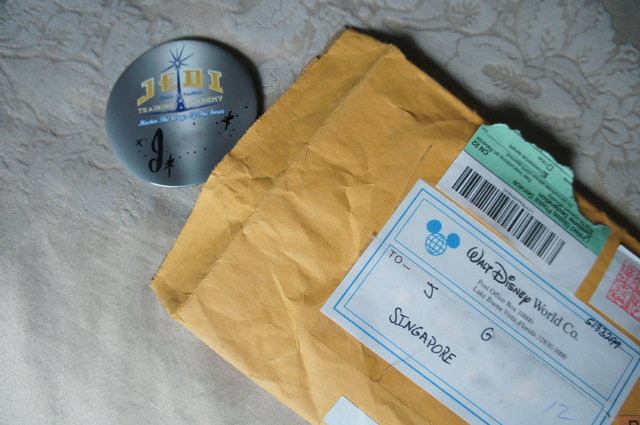 Imagine the look on J’s face when he opened the package to find a shiny new Jedi Training Academy badge inside! He was thrilled to pieces. Of course, it was not the same one that he had misplaced – this replacement button had his name written in beautiful calligraphy and had stars drawn on it, so it was even nicer than the one that went missing! Thank you Disneyworld! How A Becky Lee managed to score extra VIP Fastpasses for our DisneyWorld Orlando holiday (and some delicious ice-cream). A lot of people have been asking us how I managed to score extra VIP fastpasses for the whole family. Well, the answer is both simple and complicated. On the first day of our Disneyworld vacation, The Boobook and I were engaged in vigorous pin trading and we noticed that the best pins were available at the Disney Vacation Club booths that were liberally sprinkled throughout the park. 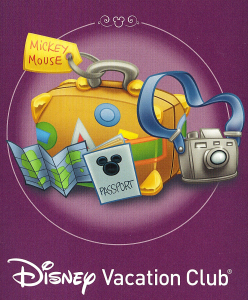 Since the Disney Vacation Club is essentially Disney’s timeshare program, it was not surprising that the booths were often avoided by other guests. Thus, the cast members at said booths were almost always free, super-friendly and readily available for directions and information.